Since 2009, the Rural Electrification Research Group has been organizing practical hands-on workshops as part of undergraduate dissertation projects which are open to all students of NTUA. The aim of these educational activities consists of introducing students to team work and creative problem solving, while providing them with a tangible foothold in developing design and implementation skills. This empowering learning process promotes experiential education through practical and theoretical project-based activities in a group learning process. In addition, it is an educational approach that transitions from traditional teacher or expert centered teaching to educational methods that focus on inquiry and discovery learning. This approach enables students to develop practical skills, their personal abilities and their critical thinking. 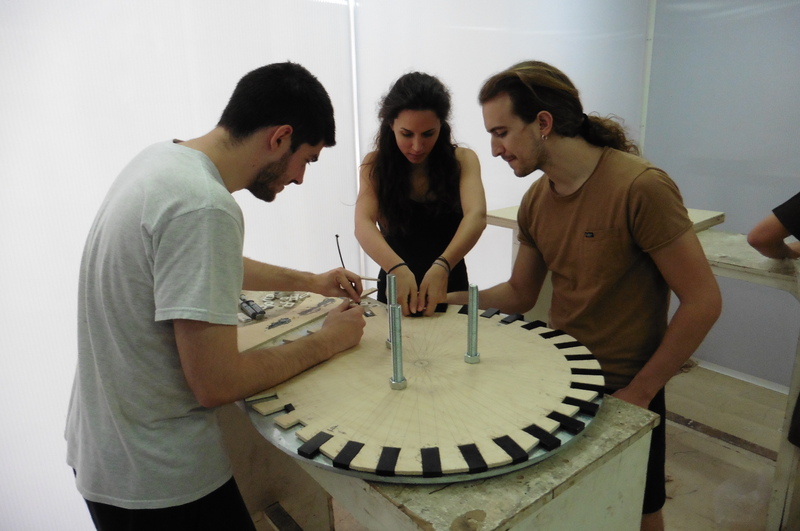 During these workshops small wind turbines and pico-hydro plants are constructed from scratch by the students themselves. 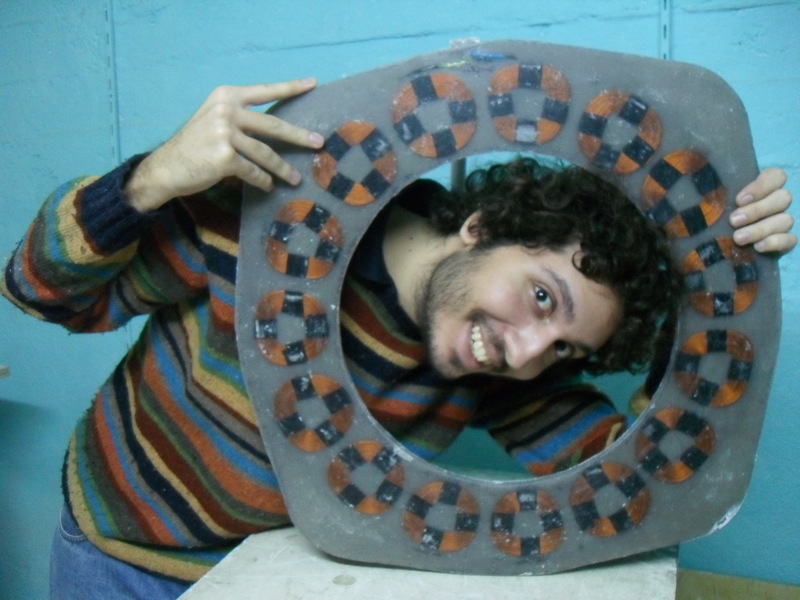 They have the chance to get acquainted with different tools and techniques such as cutting and grinding metals, arc welding, using hand carving tools for wood and making resin moulds. Also they get acquainted with using different materials such as wood, resins, iron and copper by winding coils, carving the rotor blades, casting the stator and rotors of the generator and welding the metal frame. To this date, four small wind turbines for battery charging and grid connection have been manufactured, with rotor diameters from 2.4m to 6m and two small hydro turbines of 350W nominal power, one for grid connection and one for battery charging with an iron core. 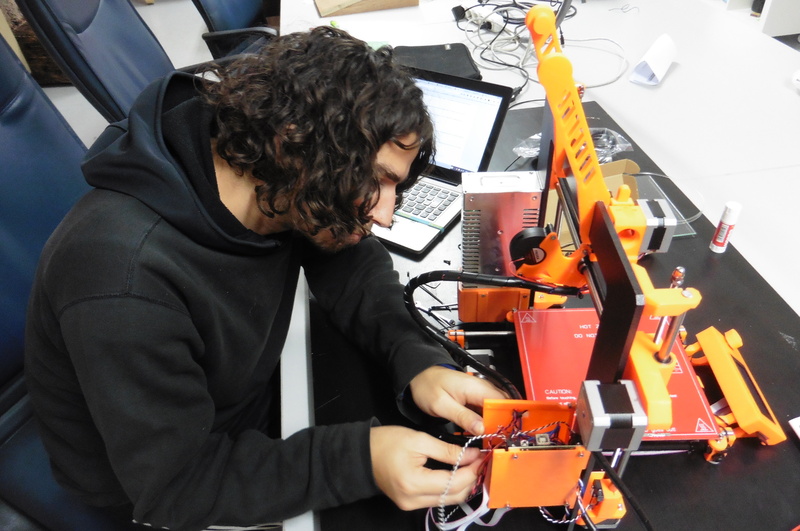 In addition to the experimental infrastructure for laboratory testing of small wind turbine generators and rotors, and for field testing small wind turbines and pico-hydro plants, all these components have assisted in the implementation of a low-cost laboratory set-up, along with the use of new technologies such as 3D printers. This project-based inquiry-led educational approach aims at guiding the students through an undergraduate dissertation which holistically encompasses the combination of an engineer’s and a user’s perspective of technology. This materializes through a four stage educational process were the students start with a theoretical phase, with an introduction on the topic and the problem / research question to be addressed, while developing models and computer simulations. Then the knowledge gained and the tools developed from the first stage feed into a practical phase, were the manufacturing of the simulated designs takes place in group activities, where practical skill are developed and shared, with regard to the technology under study. The manufactured artifacts are then used to develop appropriate experiments in the laboratory under the controlled conditions of an experimental phase, with the aim of validating models and simulations developed in the previously. Finally, in the last phase of the process which is an experiential phase, the technology is applied in the field, either in a test site or in a real life application, with the aim of observing and measuring its operation, while having the chance to use the technology in a practical application. At this point the educational experience is concluded and a self evaluation of the process is conducted by the students. 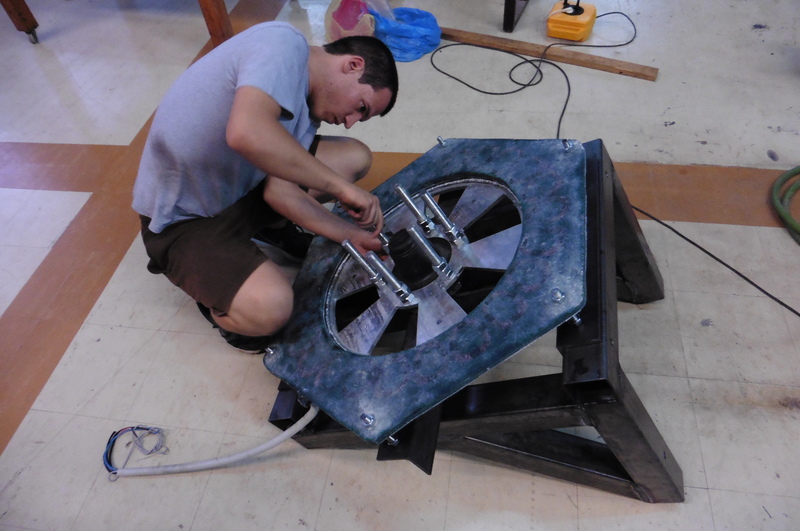 The stator of a 3kW AFPM generator designed, manufactured and tested as part of a an undergraduate dissertation.